Picking up fresh herbs from your garden and using them in your recipes is such a fulfilling feeling in morning. Today I picked up garlic leaves and enjoyed its fresh aroma ! Growing garlic is pretty easy just pick up healthy garlic bulb from your kitchen basket. Remove the white/purplish covering from cloves. Prepare your container with potting soil mix and just plant them. Container must be deep and spacious. 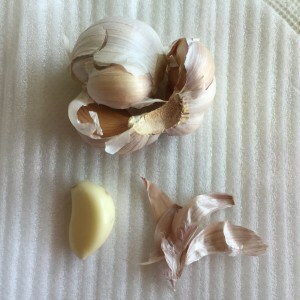 As Garlic bulb will grow in size below soil. Place cloves 4 inches apart and 2 inches deep, in their upright position (the wide root side facing down and pointed end facing up). Cloves planted – 16th July . Harvest the green leaves – 20th Aug .
Garlic Bulb – Yet to harvest. Soil must be well-drained and good organic fertilizer. Garlic needs to get covered with mulch to withstand low temperature in winters. 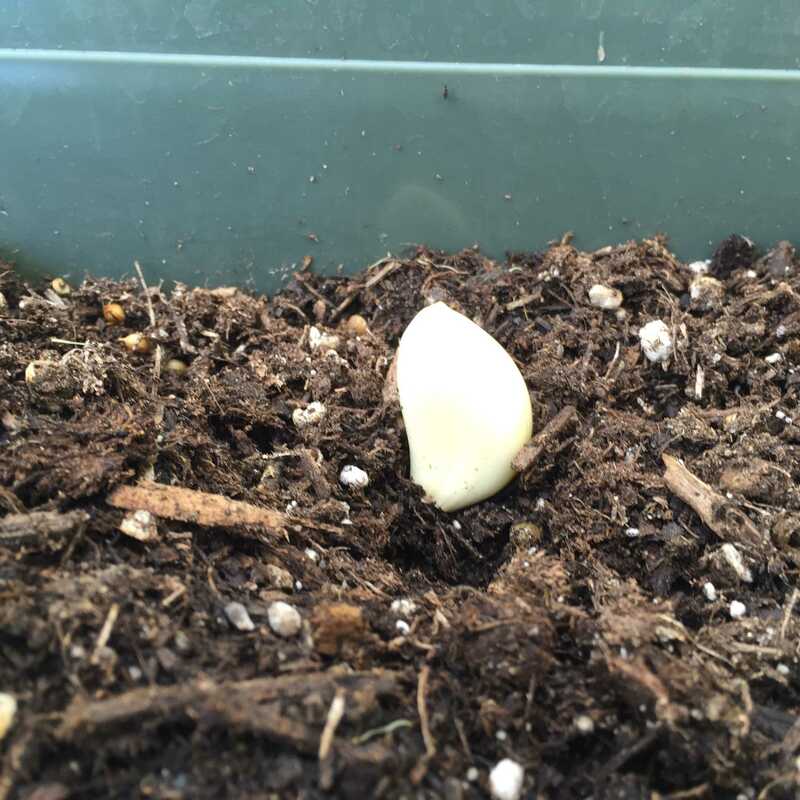 Share your notes or experience in growing garlic in your zone.